The debate has raged for centuries. Heaven and Hell; do they exist? Heaven OR Hell; where do we end up after our bodies breathe their last? As a follower of Jesus Christ, I believe in both. I know they exist, because God has described them in great detail for us. “Then I saw a Great White Throne and Him who was seated on it. The earth and the heavens fled from His presence, and there was no place for them. I don’t know what you want or believe, but I know I don’t want to be in a lake of fire for eternity! What is the alternative? Read on…. “Then I saw “a new heaven and a new earth,” for the first heaven and the first earth had passed away, and there was no longer any sea. I saw the Holy City, the new Jerusalem, coming down out of heaven from God, prepared as a bride beautifully dressed for her husband. Makes it easy for me. I choose Jesus, and eternity with Him in a Glorious new world. YOUR choice, eternity in a place of such incredible beauty that it cannot be described in any words we mortals can understand, or the place of such horror that we cannot imagine it? Memorial Day, a.k.a. Decoration Day, May 29, 2016. Remembering the veterans and first responders who have gone before us, we should also be thanking the ones who are still with us, enabling us to live in a free America. Without all of them, and the daily sacrifices they have made and still make, there would be no peace for Christians. Two people have died for me – Jesus Christ and the American soldier. Do you believe it, or are you like Thomas? After Jesus died, He went the house where some of His disciples were gathering, and was there with them for awhile. Thomas wasn’t there at the time, and he struggled to believe that the man he had followed for 3 years had risen from the dead. Can you say that you have that Peace that only Jesus can provide? Who likes to be disciplined? Certainly not me! Growing up, I was a pretty good kid. I think my Dad spanked a couple times, but far worse than any physical punishment was knowing that I had disappointed him and my Mom. (Still does!) After I left home for college, I was far enough away that I couldn’t see their disapproval of my lifestyle…. but the knowledge that they would if they knew how I was living was always in the back of my mind. Knowing that GOD disapproved was there, too, so I partied harder to drown it out. You know, having so much fun I couldn’t feel how miserable I was. That works, but only to a point. I finally found a man who was like me. I had known him for years, and we decided we were better together than separate. He prayed and went to church on Sundays, we worked hard during the week, and we partied hard on the weekends. A bit of a dichotomy, but it was working for us – or so we liked to believe. After a couple of years of this, we realized it really wasn’t working very well, so we made some changes. Side note: It’s not easy to change when the people you are around are still modeling the old behavior! It was hard to say goodbye to our friends who were still caught up in those behaviors, but necessary. We found godly friends in a little church we began attending, and our life was good. God was back. I talked about Job and his trials in an earlier post. Well, over the course of the next few years, our lives became much like Job’s. We had been rather successful in business and were living well. My stepson decided to act out, and made the decision at the age of 16 to strike out on his own since we wouldn’t accept his behavior at home. I hurt myself at work, and was let go from a job I loved and was well paid for. Without my salary, things weren’t as good financially, and I was unable to go back to work for months. 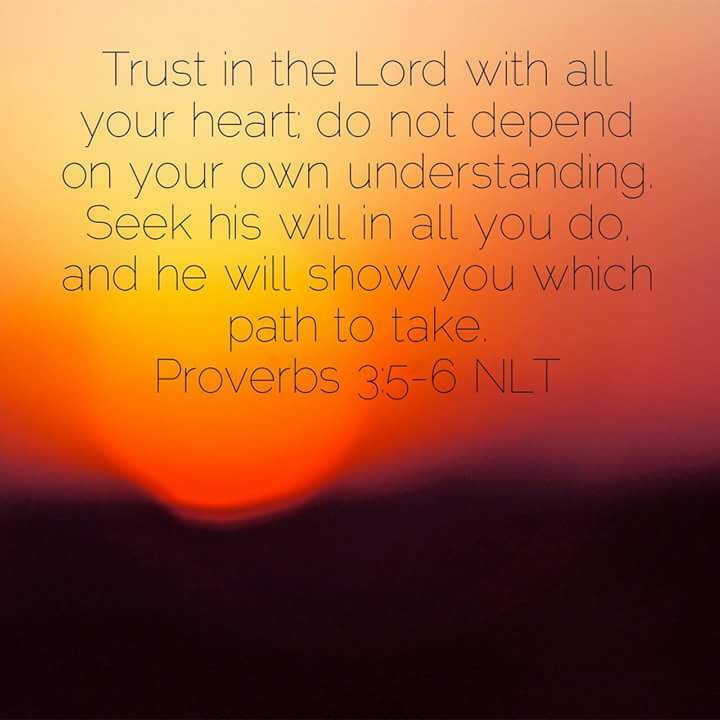 Over a period of the next several years, my husband became ill, we lost our businesses and our home, and had to rely on God because there wasn’t anything else. God blessed us with a church full of people who loved us and helped us when we couldn’t help ourselves. Life was good in spite of the pain. We determined after much prayer and deliberation that we would work toward another business. We researched and looked for the right place throughout Arizona and New Mexico… and ended up back in Oklahoma! Another church body of wonderful Christians was waiting for us, and we began our B&B adventure. It was amazing, and we were able to minister to the people who came. My husband again became ill, only this time it was affecting his brain, too, and we had to let the business and property go. I thought we could get through this together like we had all of the other trials, but the man I had loved and married became an abusive, violent stranger. I had to leave. I didn’t want to leave, but for my own safety I had no choice. I left my friends and my church family, too. I made plenty of bad choices over the next few years. I was mad at God, and stayed mad for a number of years. God still watched over me, but His discipline can be painful! Finally, I fully realized that I could not do it on my own. Letting go and letting God take control is not easy, but He will bless you mightily if you do. Think about it. ONE sacrifice. 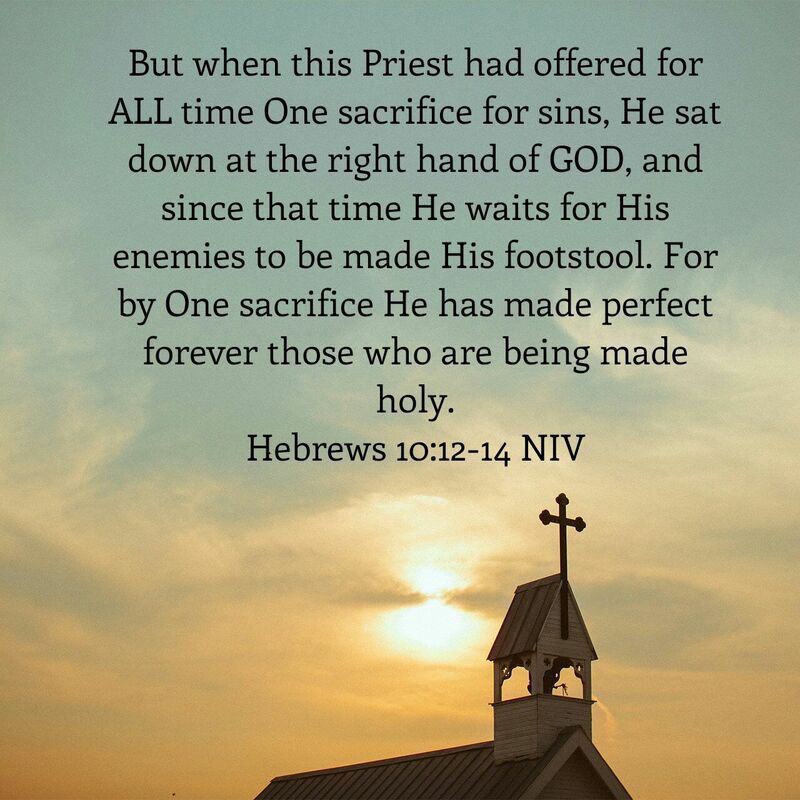 One, for ALL sin; for ALL time; for anyone who comes to Him and confesses their sins. We don’t need a priest to make a blood sacrifice, and we don’t need to receive absolution from any man on earth. It has been done and is complete. We know right from wrong. If we have any questions on it, all we need to do is to refer back to the Ten Commandments. The LORD said to Moses: “I am the LORD your GOD, who brought you out of Egypt, out of the land of slavery. “Observe the Sabbath day by keeping it holy, as the LORD your GOD has commanded you. Six days you shall labor and do all your work, but the seventh day is a sabbath to the LORD your GOD. On it you shall not do any work, neither you, nor your son or daughter, nor your male or female servant, nor your ox, your donkey or any of your animals, nor any foreigner residing in your towns, so that your male and female servants may rest, as you do. If you have accepted Christ Jesus as your own personal Savior, then you know the Peace this gives. If you haven’t, then my prayer is that you will let go, let GOD, and receive this incredible gift. After all is said and done, isn’t it better to live your life as if there IS a God (THE God!! ), than to live as if there isn’t and find out when you die that you were wrong? 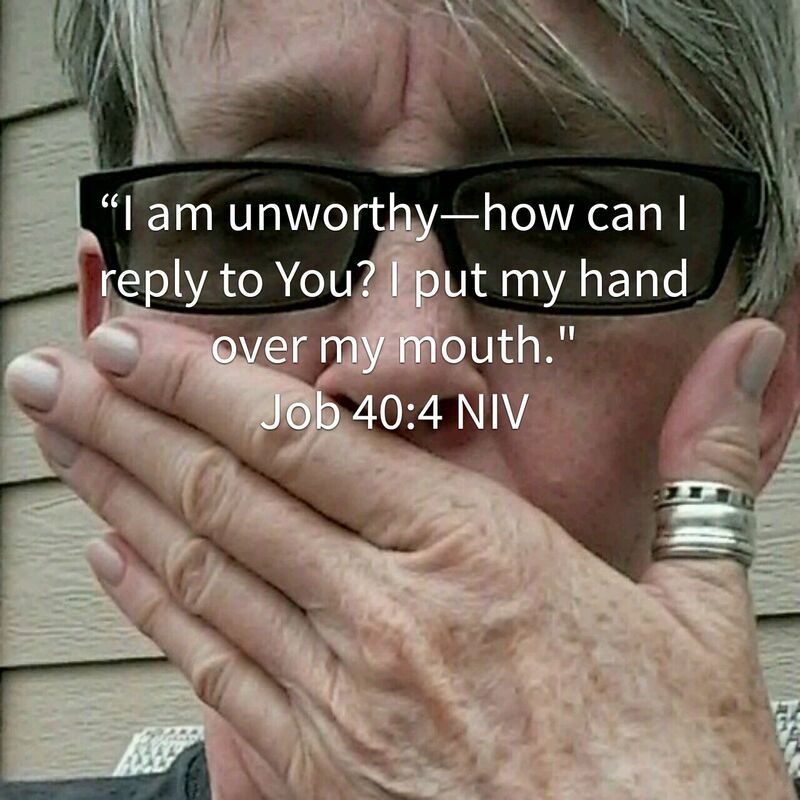 Just a thought…..
Job went through so much, yet remained faithful to the Lord through it all. He lost his children, his wife, his home and all of his belongings; his livestock and his property. It’s really difficult to take in. To put it into perspective, can you imagine for a moment seeing it happen to someone like Donald Trump? He’s constantly in the media, a very public picture of wealth. So imagine – first, all of his children die in a fire, then he loses all of his properties and businesses. Gone; destroyed. His many homes and all of their contents are gone, and his wife (and ex’s) die. He is suddenly penniless and no one else will help him. He is reduced to homelessness, and he is shunned from all of the agencies and facilities that help the homeless. He has nothing except the clothes he is wearing. Honestly, I can’t wrap my mind around it, and yet that is exactly what happened to Job. 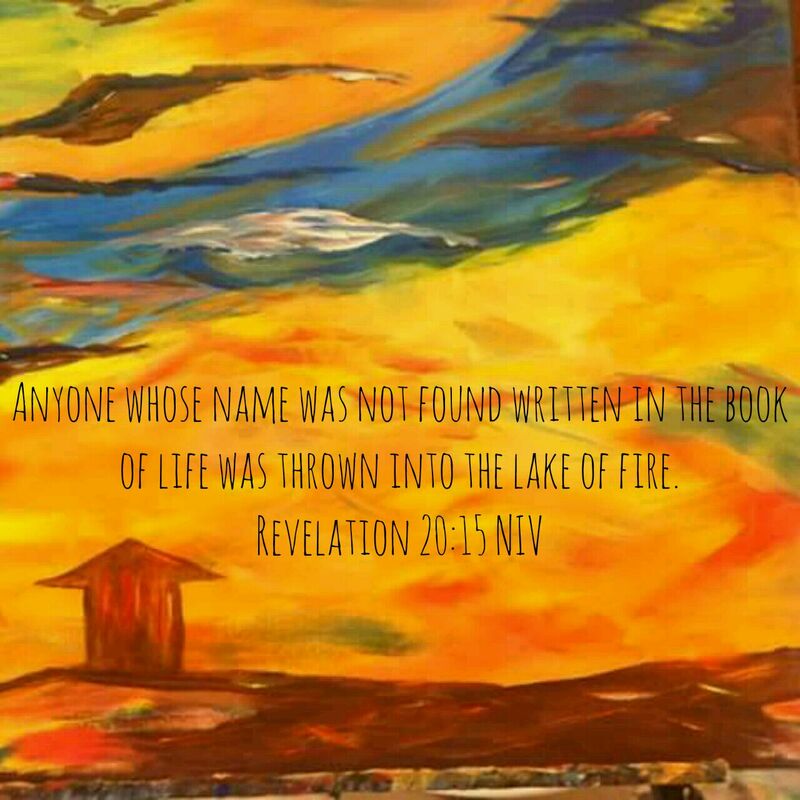 While he mourned for his losses, his “friends” urged him to renounce God…. but he refused. He knew God didn’t cause it and he knew that the source of the losses and the pain was the enemy, Satan. Can we do that? So many times when tragedy strikes we immediately curse God for allowing it to happen. Losing a child is indescribable pain. God understands! Remember His Son? Imagine your pain multiplied by the total number of people who have lived, and are living, and will live before Jesus returns. That’s the amount of pain God suffered when Jesus went to the cross for our sins. God understands our suffering. ANY temptation, ANY pain we experience, He understands because He has suffered, and suffers with us still. The one thing we need to remember as we go through our lives is that we are never alone. When we take the step to let Jesus into our hearts and be Lord of our lives, He has promised that He will never leave us or forsake us. We may lose battles along the road – we will lose battles! – but as followers of Jesus, we have WON the war! (Satan just hasn’t accepted his defeat yet.) Read the back of the Book! Oklahoma spring mornings are so intriguing. When I first came out, the sky was overcast on the east and in the north, and there were angry looking clouds, dark and foreboding, building up in the west and the south. The wind whipping through the trees creates a sound reminiscent of a rapid creek in the background. The birds are mostly silent, holding on to their perches being foremost in their thoughts. Within 15 minutes, the sky scape changes to a solid gray. Smaller clouds are scudding across in front of me, pushed by the force of the upper winds. Suddenly the sun breaks through, sending bright rays of light shooting down through the clouds. The wind still blows through, but it is washing the sky clean of the clouds and bringing a brilliant blue sky into view. Wait a little while, because now the winds are bringing more of the thunder clouds, filling the sky again to the west and south, a promise of a thunderstorm. How can anyone seriously try to claim that this has all come to be by a chance meeting of a couple of atoms? (And besides, where did those atoms come from?) After the storm passes, God’s promise to never again destroy the earth by a flood begins to shine through the clouds. How magnificent is our LORD!